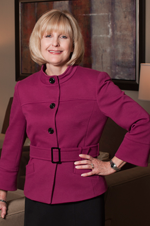 Lisa Windlinger joined Bland Garvey in 1986, becoming shareholder in charge of audit and assurance services in 2000. Lisa leads our tenured team of auditors in providing exceptional and quality services to Bland Garvey clients, with specialized experience in serving private companies, medical practices, oil and gas and manufacturing industries, non-profit organizations and employee benefit plans. Lisa’s prior experience includes several years of public accounting, and she holds a bachelor’s in accounting from Texas Tech University. She is former member of the Texas Tech University Accounting Advisory Council as well as an active community member of several local organizations such as the St. Andrew United Methodist Church and St. Mark’s School of Texas. Lisa enjoys spending time with her family, and is an avid Jazzercizer.